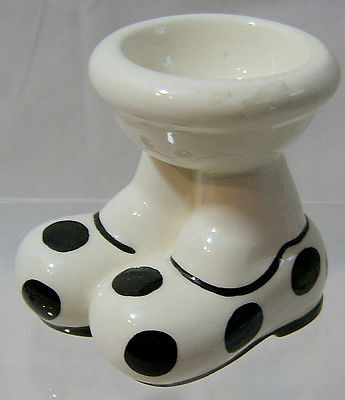 This is one of the many novelty releases from Carlton Ware in their 'Walking Ware' series produced in the 1980s. Designed by Roger Michell (Lustre Pottery) for Carlton Ware , this particular piece has the very collectable large blackd-spotted shoes. The Eggcup is in excellent condition.